Talk, Classical, Jazz: NPR affiliate. [map] [street view] Just north of US 98 halfway between Gulf Breeze and state 87. Co-located with WPAN-DT. AUX: 7.5 kW @ 96 feet, 60 dBu protected contour map, from the FCC. 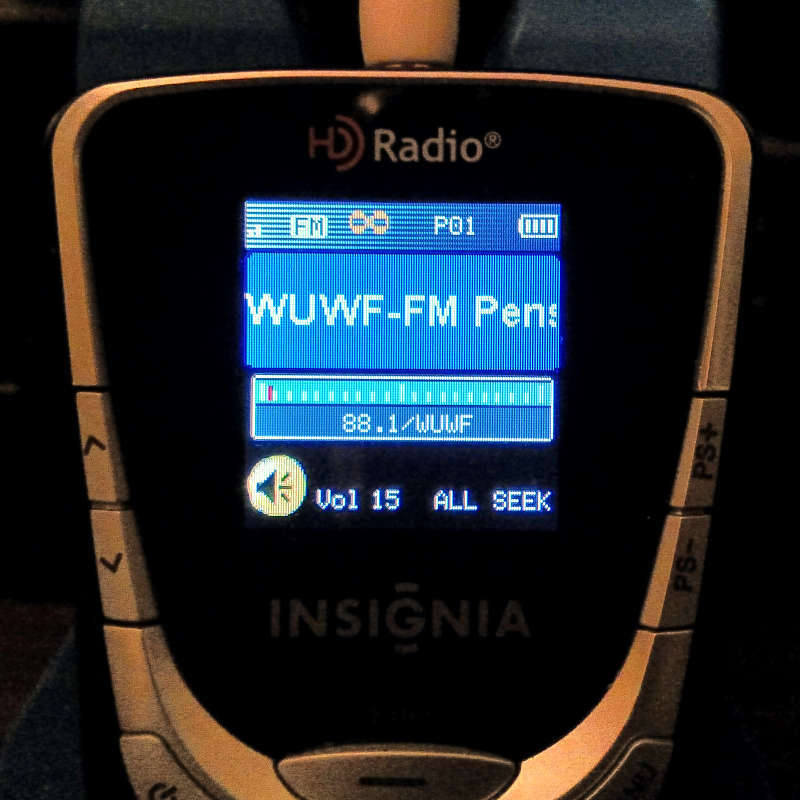 [Picture] Image of the RDS text display of an Insignia HD portable radio, showing the PI (call sign) and Radio Text. [Picture] Image of the RDS display of a Madza sedan's radio, showing the PS (station name), Radio Text and PTY (format) fields. 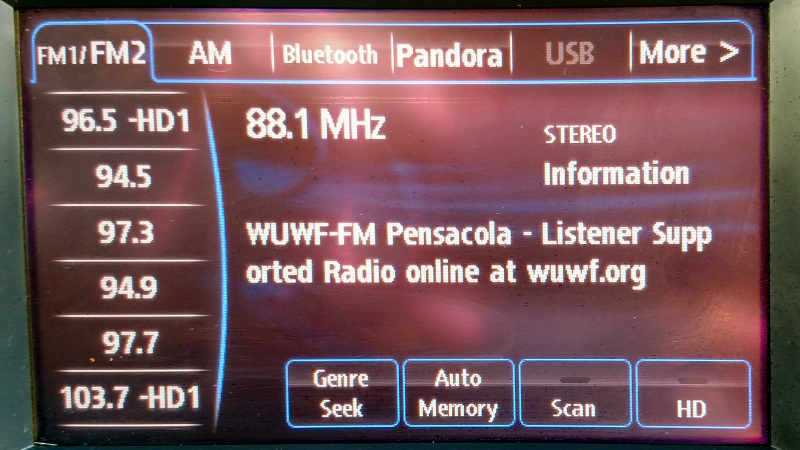 This station was put on the air by the University of West Florida as a public radio outlet with news, classical and jazz programming in January 1981. The station's HD-2 originally hosted eXponential radio, and later a mix of BBC news and folk/alternative music. That was dropped after Alabama Public Radio bought WHIL in Mobile, which reduced the amount of classical heard on that station. The HD signal got a boost in power in the summer of 2014. The station was taken off the air on 2 July 2017 when a power surge from a transformer zapped the transmitter. From 9 July 2017 onwards, the station has been running on a backup transmitter brought to the site. It used the existing antenna but operating at only 2400 watts with no HD capability. A new transmitter was fitted in early to mid August. The station was back on full power by early September 2017.